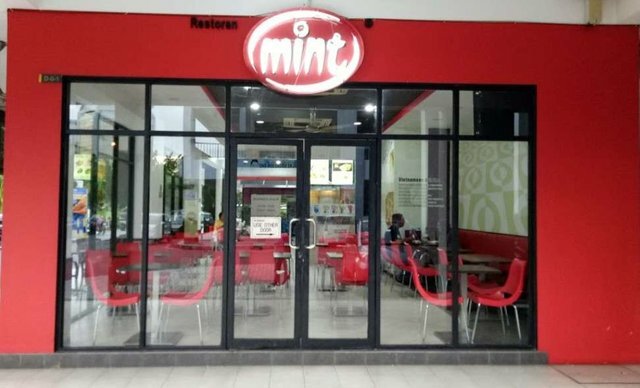 There's a nice place called Peppermint in Karamunsing Capital, Kota Kinabalu that served delicious Vietnamese Chicken rice that I once went to dine to. Finding a parking here is easy as you can opt to park nearby or park at the Karamunsing Mall parking which is situated near the restaurant. The place is air-conditioned making it quite comfortable for diners to dine on a sunny humid day. The front entrance is elegantly colour in red while inside it's white. The chairs are also red colour and tables are brown. Indeed a good combination of elegant color. 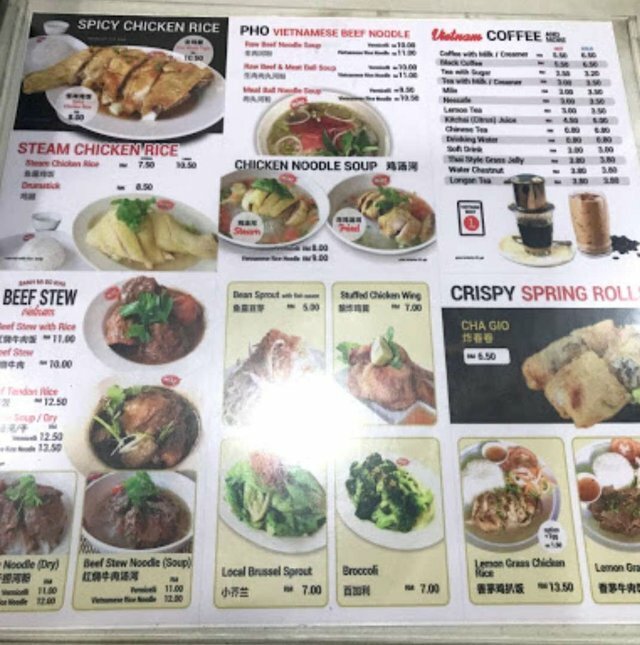 Here's the menu available in the restaurant. It's also displayed on the big banners behind the counter. Varieties of delicious dishes available to order. 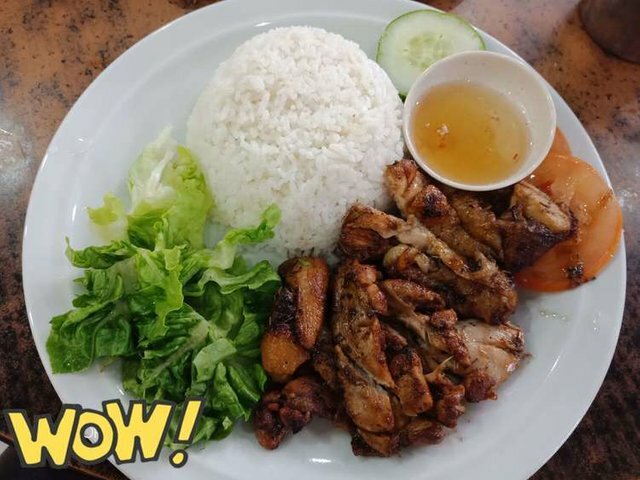 I ordered this delicious Lemon Grass Chicken rice. It's really delicious to eat with that spicy sauce and rice. 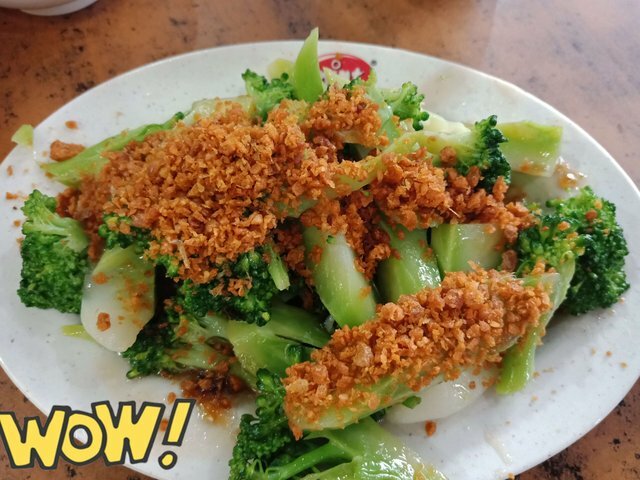 I also ordered this stir fried Brocoli with sauce and fried delicious aromatic Garlic on top of it. I really love the taste of this dish. The place is really nice to hangouts with friends or to dine with your family. It's opened daily from 7.00 am - 9.00 pm. Hi. Can you please contact @siamcat from the Tasteem team via discord as she left you a message on your last post but have not heard from you since. If you don't contact her in the next day, your access to Tasteem may possibly be revoked and won't be able to post on Tasteem. Thanks. I just saw the message. will reply on discord now. We found out that you and another user used the same identical information at your post. Please contact me at the discord to verify your id as soon as possible. Use of multiple account at Tasteem is not allowed. Thank you for entering our <Your weekly choice > Contest . Thanks to @celo769, Tasteem has become a more attractive guide. We upvote your post, wish you the best of luck in winning our Contest! Omg. I love all those food! Especially garlic on top. I had a nice read. 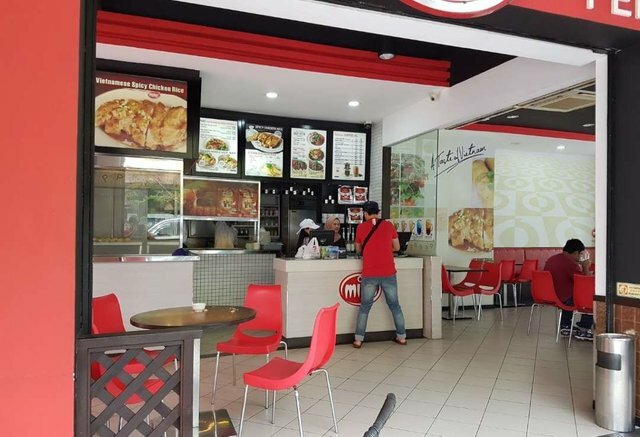 I didn't know that there is a Vietnamese restaurant around that area. I should try it out.